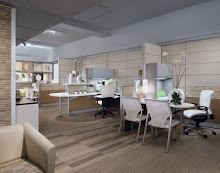 Office Furniture Resource Blog of Tulsa Oklahoma: To cube or not to cube? Should My Office Use Systems Furniture or Freestanding Desks? My company based here in Tulsa OK has finally found affordable office space. Now we've got to furnish it. Should we just buy desk and chairs or go for cubicles? At first, it might seem less expensive to just to buy a dozen cheap desks and chairs. (Some start-ups even use doors instead of desks!) In the long run, however, you'd be wise to invest in what is called "modular systems furniture," otherwise known as cubes. Modular furniture costs a little bit more up front, but it will save you in the end. 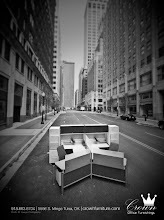 Because systems furniture is modular, it's space efficient. For example, the overall desk surface of a cubicle is typically the same as a regular desk, but it's laid out in two narrow, usable pieces instead of one wide piece. Modular furniture also saves space by capitalizing on vertical space as well as horizontal space -- it builds up, instead of out, which provides a lot more storage space per desk. 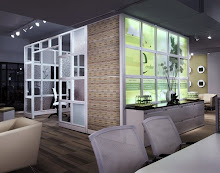 Another advantage of modular furniture is movable cubicle walls. If your company is adding new employees every month, it is quickly going to experience a space crunch. Desks can be pushed together to accommodate new employees, but most employees don't appreciate working in that kind of environment. 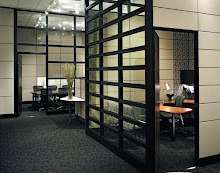 With modular furniture, you can tighten cubicle walls to squeeze in some extra help without totally sacrificing privacy. Whether you start with a few mismatched desks or a few cubicles, budget for some decent desk chairs. A computer will work fine propped up on a plywood desk anchored by sawhorses; but your employees may break down and stop functioning if you force them to sit in cheap chairs for hours on end.